In a few hours the alarm will go off and G and I will get dressed in the dark. We’ll pretend not to notice each others sleep deprived and crickled faces as we make our way to the Anzac Dawn Service in Doha. The event will be run by the Qatar Australian and New Zealand Business Association, it will be at the Hyatt Hotel, thank you Hyatt people for getting out of bed so early. 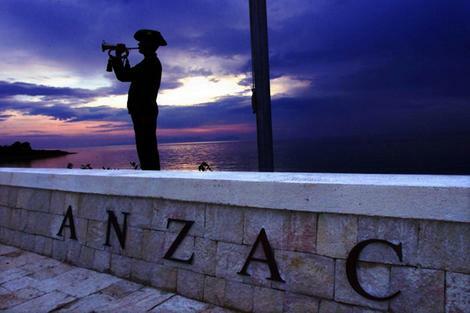 Anzac Day obviously started with the Anzacs, but it’s also a time to remember all of our soldiers. Whoever and wherever they may be. I only know a handful of soldiers, but one in particular keeps popping up in my mind. His name is Chris and he’s from a little town called Susanville, in California. He’s tall and blonde. He speaks quietly and has impeccable manners. Manners, I imagine, his mother is incredibly proud of. He is in love with the idea of travel. He likes to ask questions about where you’re from and what happens there. He is a boy. He is nineteen years old. I know he’s technically an adult but he looks like a boy to me. The young son of any one of my friends. When we met him, he was stationed in Iraq, in the Infantry. He was on his first break after a six month stint. He chose to spend the break in Doha, I guess the options were limited. We were on our first ‘Desert Safari’. Aunty Suzie was in town so we were trying the touristy dune bashing trip, this involved driving sideways up and down sand dunes in a Landcruiser while gripping the handrail in a white knuckle fashion. Thankfully, after about 45 minutes it was time for lunch at the camp by the beach. The campsite had a traditional Bedouin tent, and a makeshift kitchen in an air conditioned trailer. There was a volleyball net, a very old and tired camel, and some chairs with shade on the beach. Iran, in the distance across the water, Saudi Arabia a little further down the road, we were out in the middle of the desert, just us and about twenty generators. Aunty Suzie and I stifled a school girl giggle when our driver and guide for the day asked if we minded sharing the facilities with a group of American Soldiers. With expectations of the usual American soldier, you know, a mixture between Private Ryan, Matt Damon and Jake Gyllenhaal, we felt the day had just got a little more interesting. For about the first hour of sharing the camp, the soldiers kept to themselves, they were busy having a laugh, playing volleyball or smoking the Shisha pipe. They were all young, a mixture of men and women, all of them were incredibly fit. Six pack abs and serious tattoos were the theme of the day, they were on a break and our little family unit was of little interest. At lunch time I asked if he wanted to join us, he quickly smiled and nodded and that’s when we got to meet Chris. Fascinated by Australia and how it worked he had question after question, when we mentioned our travels his eyes lit up “that’s what I want to do!” He explained how after joining the army, he’d been sent to the other side of the US to train for a few months and then it was time to go to Iraq. As a mother, I was interested to hear what his mother had said when he broke the news about joining the army. “Oh, she was still trying to talk me out of it on the morning I was leaving” he said. It was said in the same dismissive tone a teenage boy would use to tell you of his over protective mother who didn’t want him to drive late at night. I winced as I looked at my two little boys. I wanted to ring his mother, tell her he’d eaten a good meal, looked healthy and was okay. He laughed and assured us all that she knew he was fine. For the next hour or so I found myself struggling not to get too emotional while we were chatting. I’m not sure if it was the fact that he was so sweet? 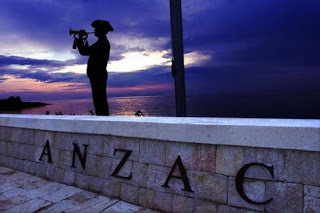 Perhaps it was from our time living in North America, seeing the young faces, the names that came up on the news each night “we will remember them”. Every night, more faces, more dead. We’d lived in North America for five and a half years, every night, more faces. Maybe it was just that he was so excited about the size of the Mall we had in Doha “we don’t have anything like that in Susanville”. There are soldiers all over the world currently fighting or peace keeping in situations not many of us understand. The details over the years have become very fuzzy around the edges. Remember when people took to the streets in protest against going to Iraq? That was eight years and thousands of lives ago. Eight years. Each evening many of us watch, completely desensitized to the news of nine more killed in a roadside attack. “Geez, that’s terrible” we say as we tap on our remotes to see what else is on. So Chris, wherever you are, I will be thinking about you today and hoping that you made your way back to Susanville, California. I hope you told them all about that enormous Mall you saw you in Doha. I will be thinking about you and many others.